Reconnective Healing is one of the most powerful healing modalities on the planet today. Certified since 2004, I have seen so much that nothing surprises me anymore. It seems most anything is possible if all the elements are in place. By this I mean a state of acceptance in all possibilities,and an at easement of mind and emotions. Often the Reconnective Healing energies can help a person get to this point if they are not already there. Then the possibility for them to heal themselves is more probable. Healing yourself? Yes that is what I said because bottom line is that’s what really occurs. The human body is absolutely incredible. If it is given the necessary correct commands of the heart center not the mind, it seems to follow through to healing itself. The Reconnective Healing energies have been studied by many outstanding individuals in the physics and science world. What they have found is that there occurs an actual physical change in the brain itself, during the Reconnection. The brain and the nervous system work in conjunction to spread these incredible energies to the most needed part of the body. There also seems to occur a light transition. A bright light coming into the client while a darker denser light exits from the top of the head. Healing is about balance and this may well include healing on the emotional level as well. If you read “thoughts of Healing” on this website you get a better understanding of what I’m speaking about with the emotional healing aspects. 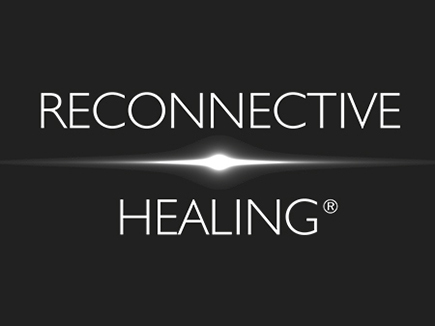 What is the difference between the Reconnective Healing and the Reconnection? If you were to draw a large circle on a piece of paper and then draw a smaller circle that envelopes part of the larger circle, you would have a representation of the healing’s vs. the Reconnection. the Reconnection would be liken to the large circle and the healings would be liken to the smaller circle, partly encompassing the larger circle. Meaning that when you get the Reconnective Healings you are getting some of the energy of the Reconnection but not nearly as powerful as the Reconnection. What is the Reconnection? Originally the meridian lines, sometimes called the acupuncture lines, on our bodies were connected to the grid lines that encircle the planet. These grid lines were designed to continue out and connect us to a vastly larger grid, tying us into the entire universe. Over time we became disconnected from these lines. The Reconnection brings in “new” axatonial lines that enable us to standardize unique vibratory levels and frequencies for healing and ultimately for our evolution. These axatonial lines are part of a parallel-dimensional circulatory system that draws the basic energy for the renewal functions of the human body. The Reconnection brings in and activates these new lines, allowing for the exchange of light and information, the reconnection of DNA strands and the reintegration of “strings” (simultaneously) occurring on parallel planes of existence. It is suggested that a person experience between 1 and 3 healing’s before the Reconnection. You can read more about the Reconnection on the www.thereconnection.com website.